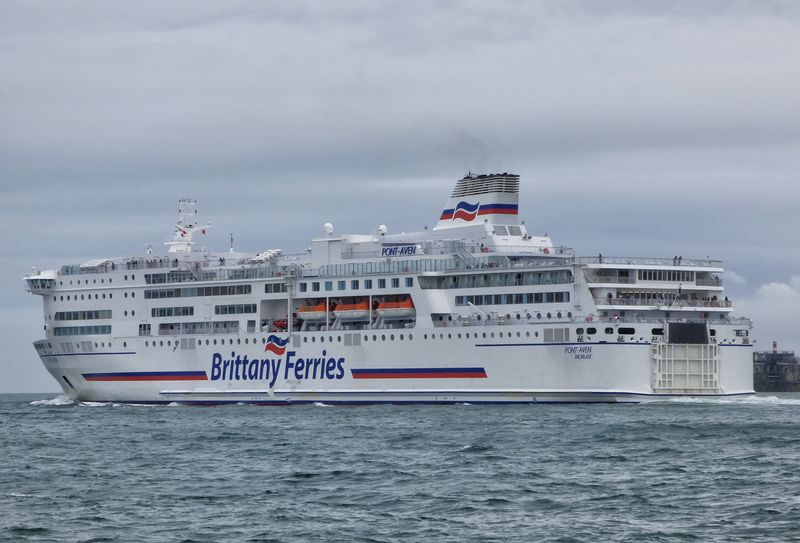 Those who follow the site on a regular basis will know that this is a journey we have completed a number of times before and this is mainly down to the fact that we both really like the Bretagne and its relaxed and comfortable level of service. 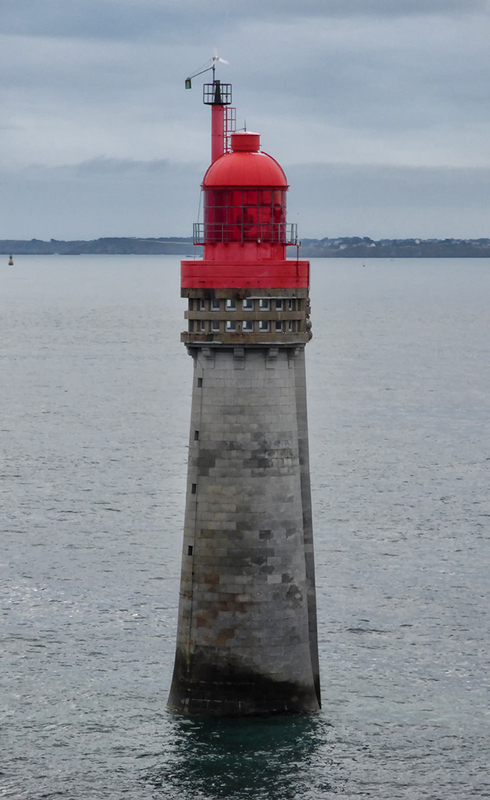 The reason for our crossing this time was to not only follow up on our previous trip on the Bretagne back in March of this year but to have a bit of rest and relaxation before an important event in August. My good friend Paul Cloke is getting married in August and as his best man I thought I would treat him to a trip to get away from all things wedding related for a couple of days. This trip ended up being known as ‘the event before the event’. There will also be an ‘event after the event’ in October, more information about that will be known in the next month or so…. 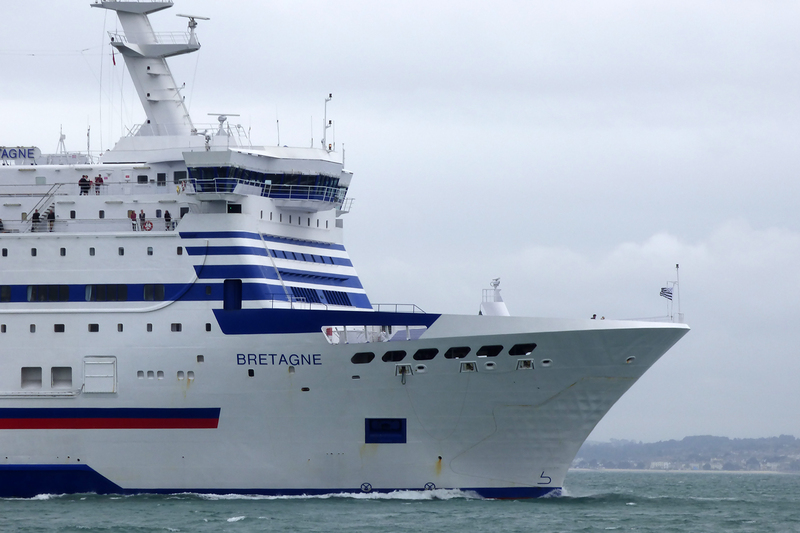 The reasoning behind picking the Bretagne was simple at the end of the day. 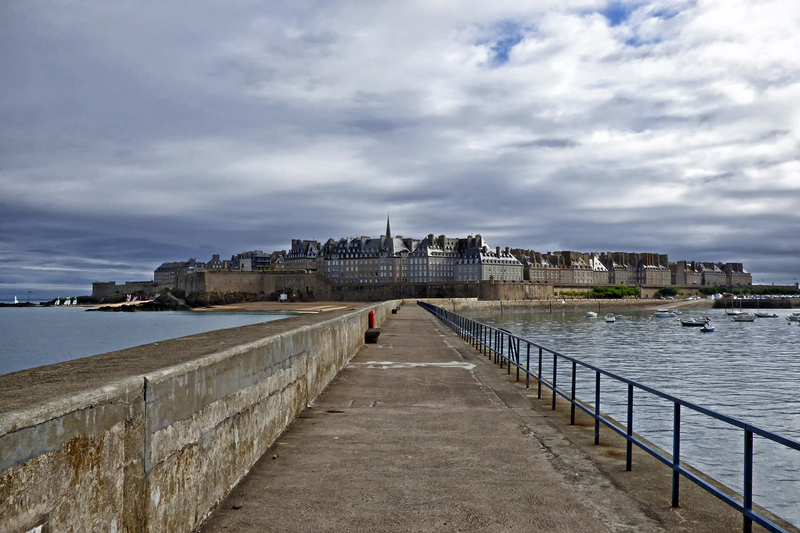 The timings were right, it offered nice surroundings, an excellent restaurant and a nice bar with entertainment, plus the added bonus of breakfast in St Malo, a place which I can safely say we have both fallen in love with. Usually when I go on one of these sort of journeys it has to be said that I do not travel light. I will usually have a massive camera bag with two DSLR’s and a selection of lenses but for this trip I was limiting myself to just one camera. For the last month or so I have been evaluating a Panasonic Lumix FZ72 bridge camera to see how it compares to my usual kit and all the photographs in this report (apart from the food) were taken with this camera. What I will say is a bridge camera does have many advantages over a DSLR in its portability, zoom reach and simple point and shoot nature but the one thing that I did find was the levels of digital noise in the photographs were occasionally unacceptable and the unit lacked consistency. I could take two photos with exactly the same settings a second or so apart and the pictures would differ wildly and yes this was with a tripod and trigger remote so movement of the camera wasn’t to blame. That said and all things aside I think it will be handy addition to the camera bag. 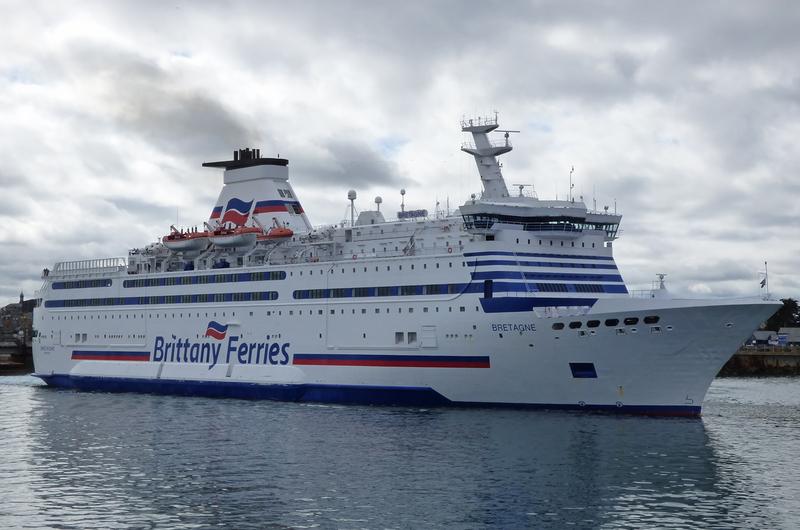 As with previous voyage reports this is mainly going to be a captioned photo story of the actual journey and I do have to warn you in advance that this post, just like our other Brittany Ferries voyage reports, contains photos of food! (I can see a pattern developing here yet again). 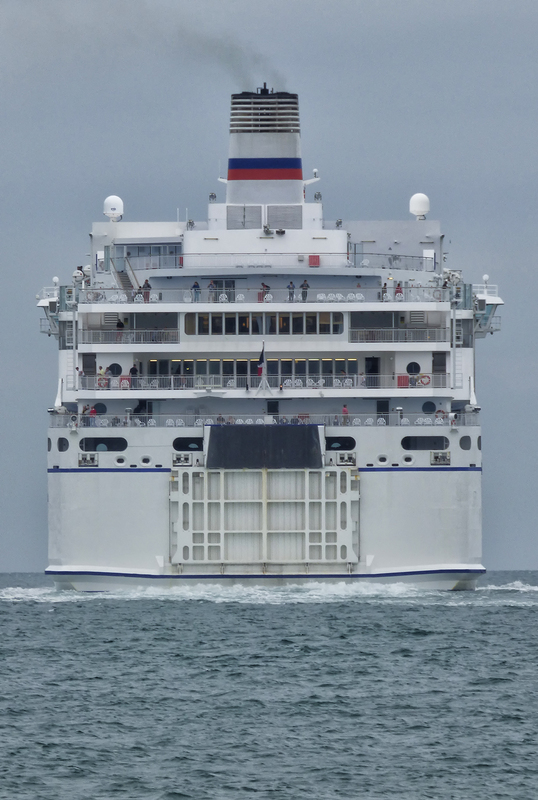 A round of the America’s Cup world series is taking in place in the Solent between the 23rd-26th July and here is the British entry seen passing through the entrance to Portsmouth harbour. Ben Ainslie Racing (BAR) was launched on June 10th 2014 in the presence of the Duchess of Cambridge. 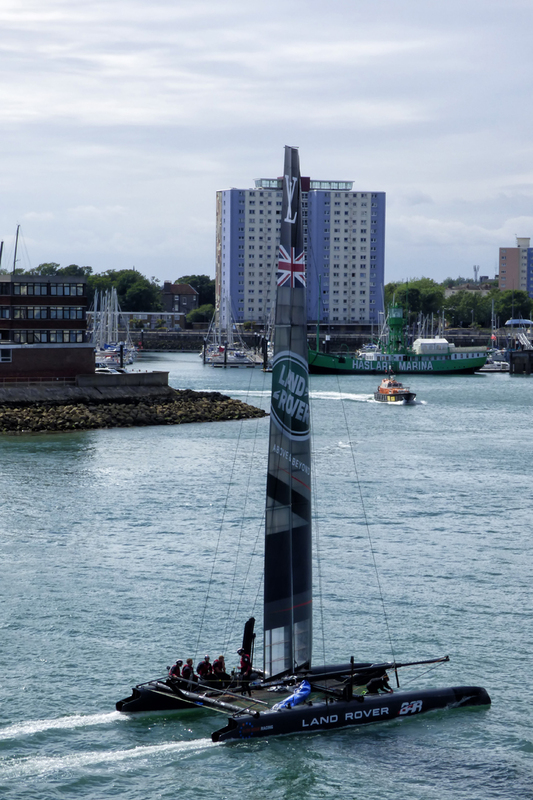 The team was conceived by four times Olympic gold medalist and 34th America’s Cup winner, Sir Ben Ainslie, with the long-term aim of challenging for Britain and bringing the America’s Cup back home to where it all began in 1851. Renamed Land Rover BAR in June 2015, it is a commercial sporting team, with a number of individual private investors alongside corporate partners. 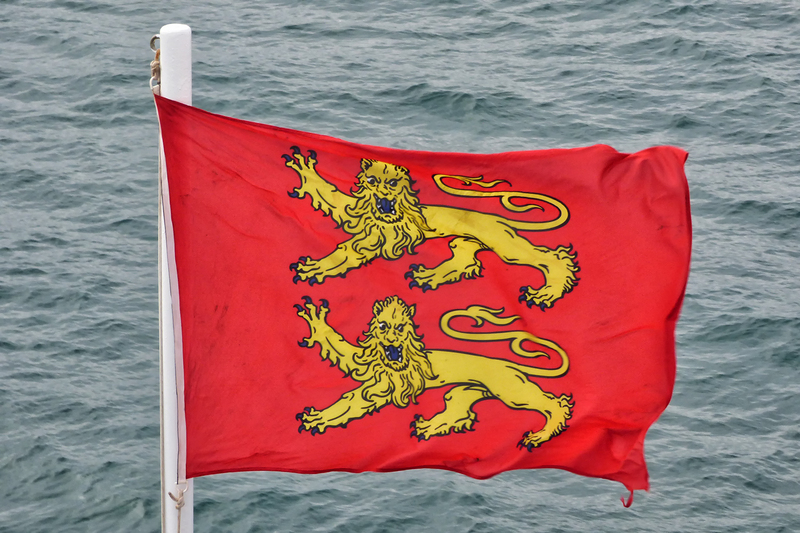 The team is made up of some of the best British and international sailors, designers, builders and racing support and is based at a new purpose built facility within Portsmouth harbour. 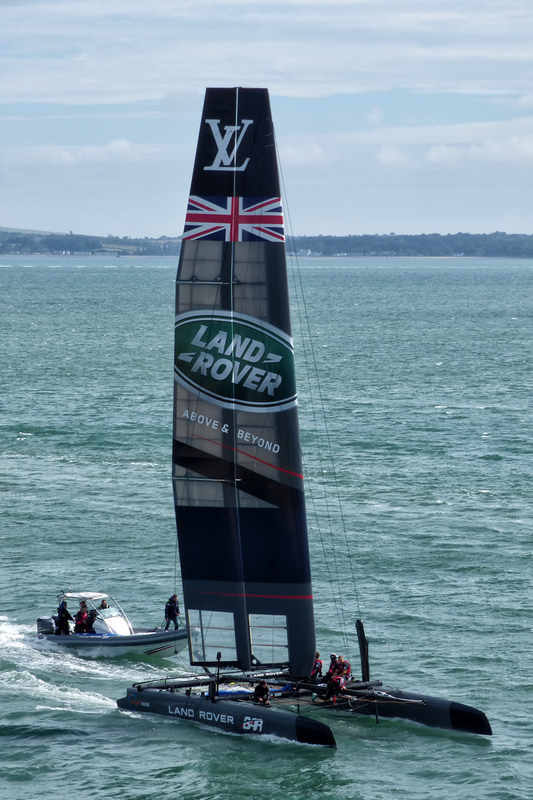 Further information is available on the Land Rover BAR and the America’s Cup World Series websites. 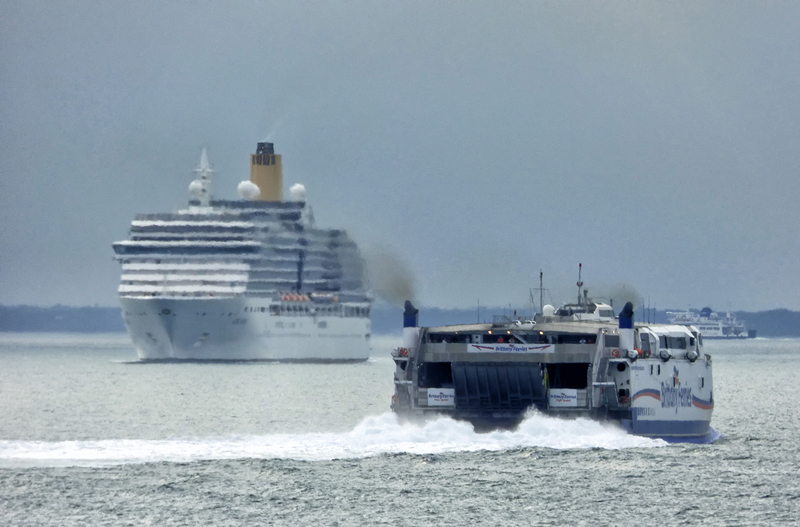 Not the greatest shot in the world due to the distance and the grey weather but here the APL Sentosa can be seen passing through the Solent heading for the Port of Southampton. 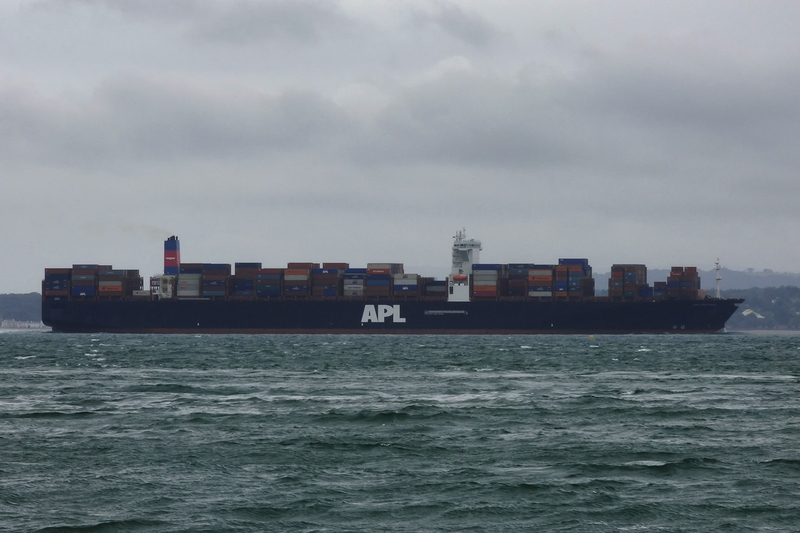 The APL Sentosa is the 9th ship in a 14 ship series and was built in South Korea by Hyundai Samho Heavy Industries and she entered service in 2014. 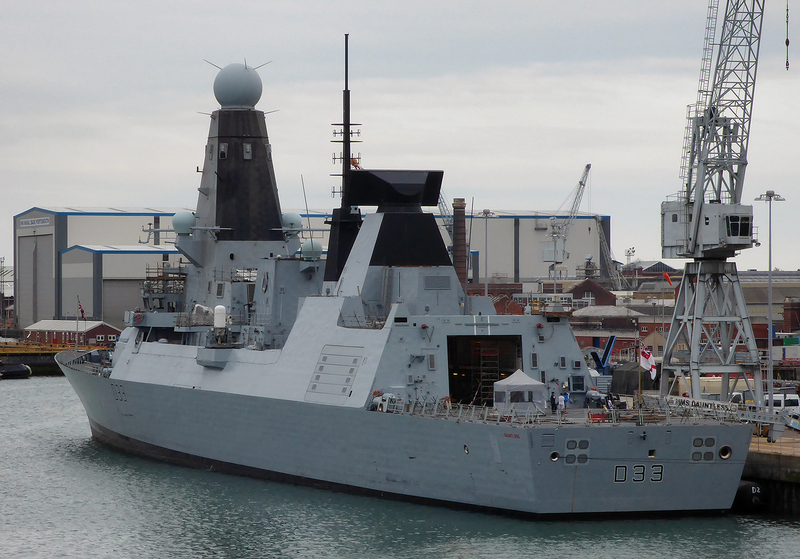 She weighs in at 151,015 GRT and has a length of 368 metres. 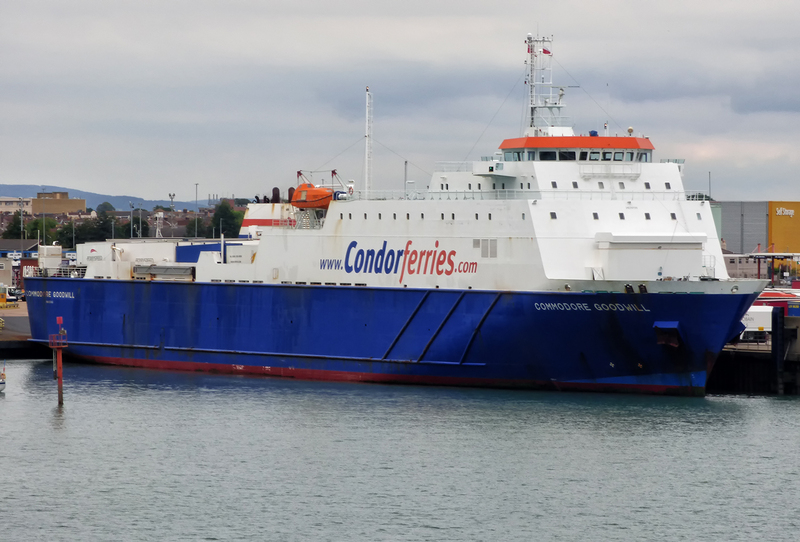 She is 51m wide and has a draught of 15 metres and is capable of carrying 14,000 containers between Europe and the Far East. 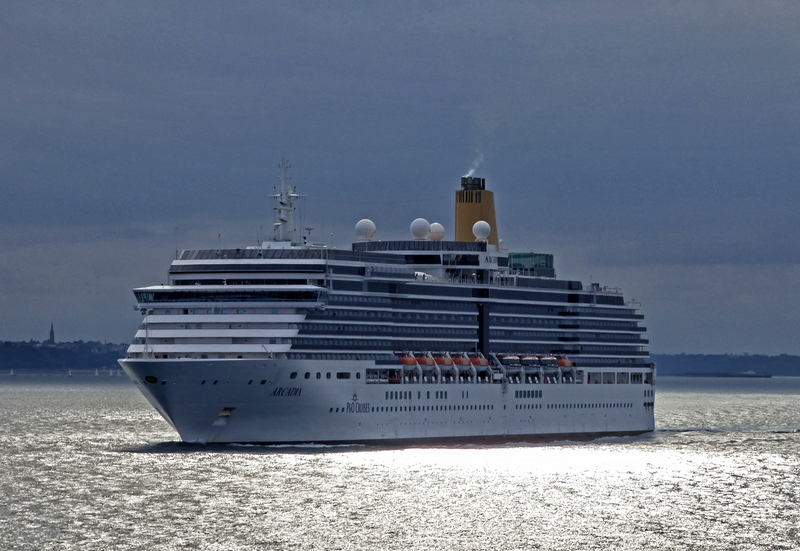 After her brief stay in Southampton she departed for the Suez. 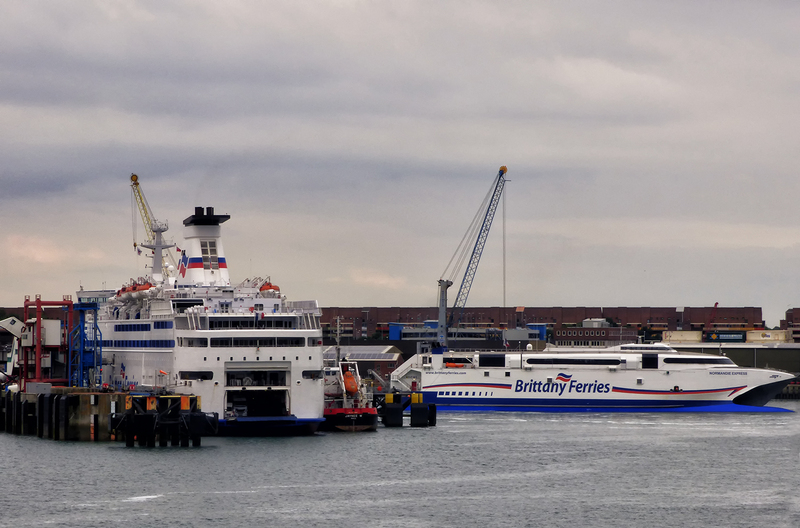 After an afternoon on the waterfront watching the comings and goings of not just the ships but the great British weather it was soon time for us to head to the Portsmouth International Port to check in for our 2015 sailing to St Malo. 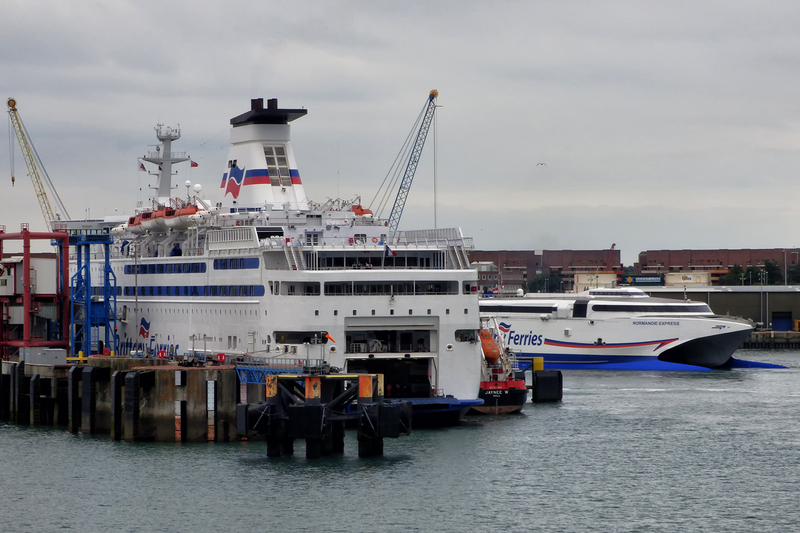 As per usual with Brittany Ferries check-in was painless and hassle free and unusually security was already open and we proceeded straight to the berth to wait for embarkation to commence. 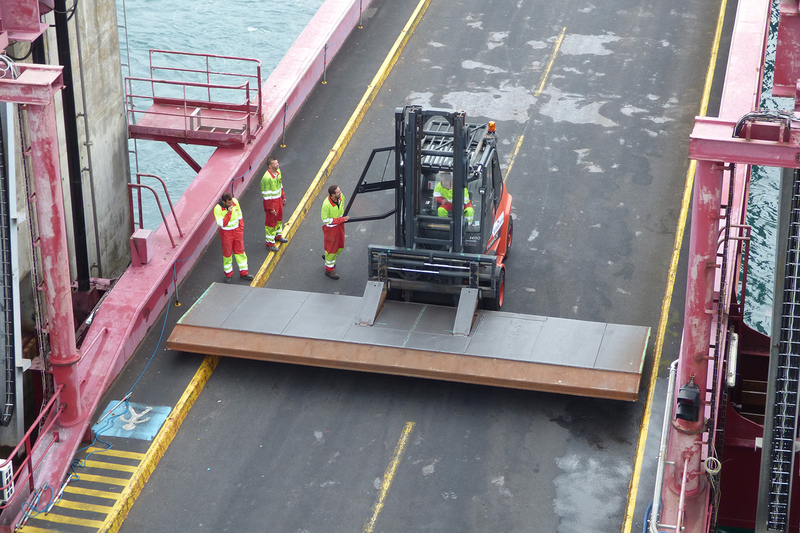 After a 20 minute wait we were driving onboard and heading for the upper car deck (deck 5). Once aboard we heading straight to our Club cabin on deck 8 to get ourselves ready for departure. We discovered that we had a problem with no hot water in our cabin and this was reported at the reception desk. By this time the weather had really closed in with mist and drizzle but the bar was open so it seemed rude not to toast our journey with a pint or two. We didn’t even have to go to the bar to purchase our drinks as the serving staff in the Gwenn Ha Du lounge are very attentive and take your order from your seat. Our barman remembered our order for the rest of the evening. 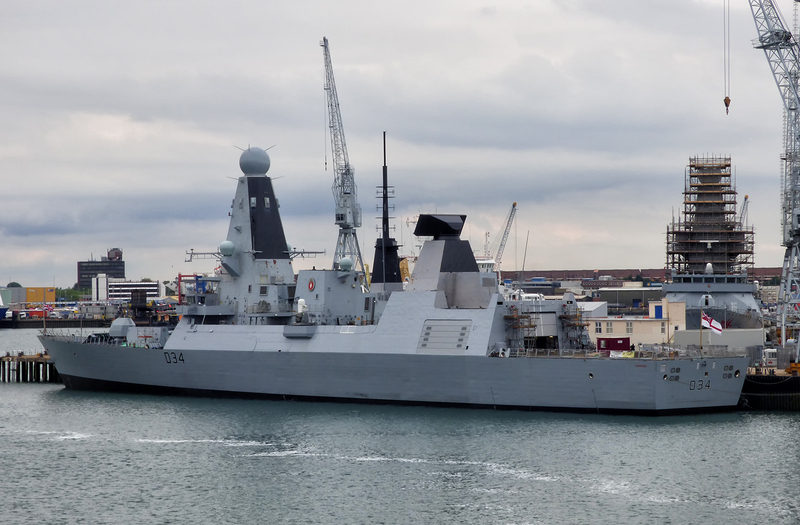 The ship went astern off the berth on time and after swinging close to the naval vessel HMS Kent we were heading through Portsmouth harbour and out into the Solent. 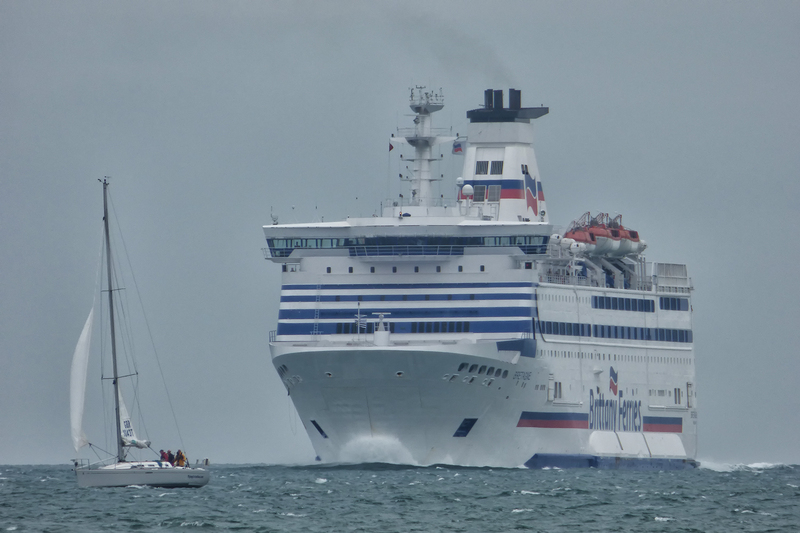 The overnight crossing from Portsmouth to St Malo takes about 11 hours, arriving at 0715 British time. 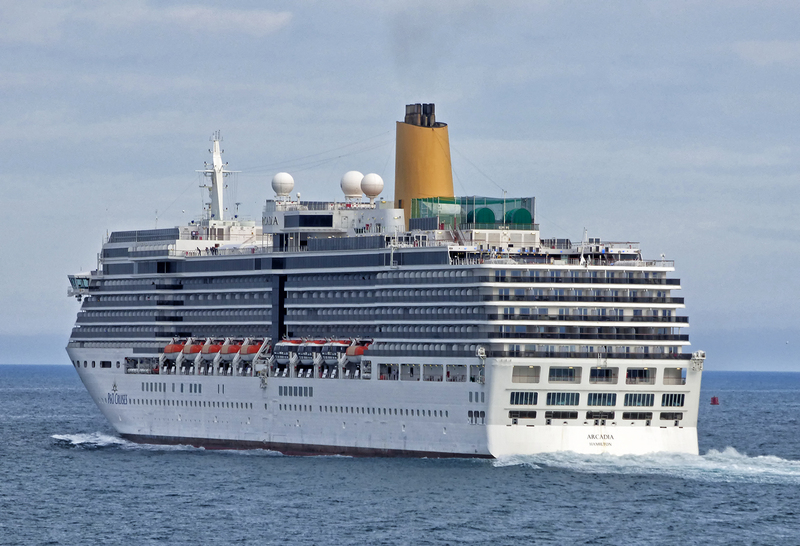 This gives ample time to enjoy the ship and it’s ample facilities. 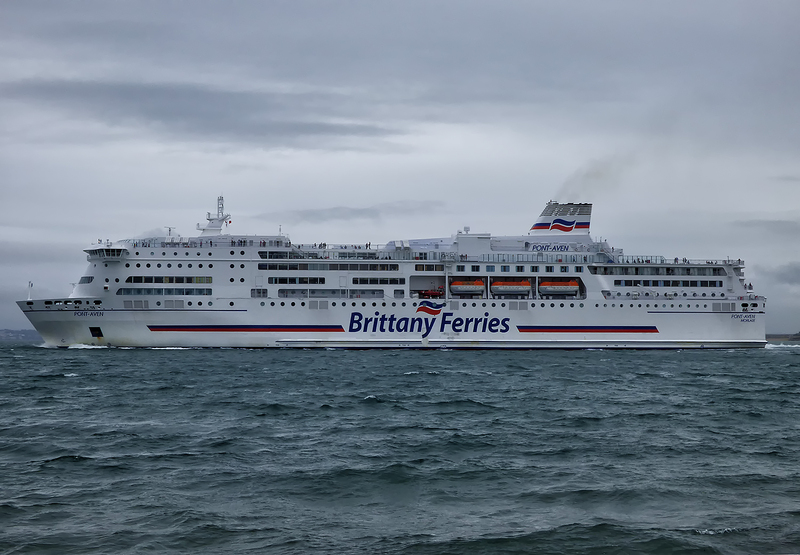 After witnessing our departure we quickly headed back to our cabin to find that we now had hot water (well done Brittany Ferries) before we headed to the Les Abers a la carte restaurant for dinner. 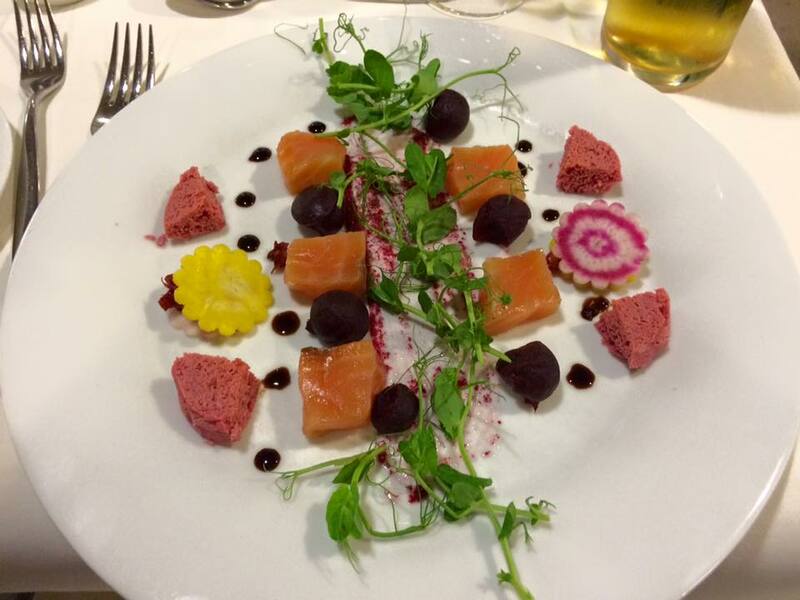 We have previous experience of this restaurant and we were looking forward to the meal, some may say it’s the highlight of the trip and for me it definitely helped make the journey very enjoyable indeed. 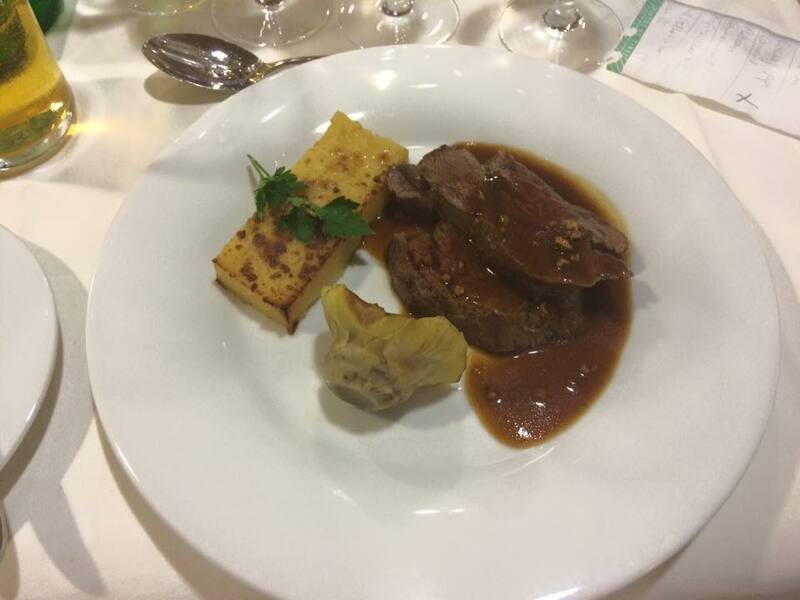 The restaurant was very busy and as a consequence we had to share a table. 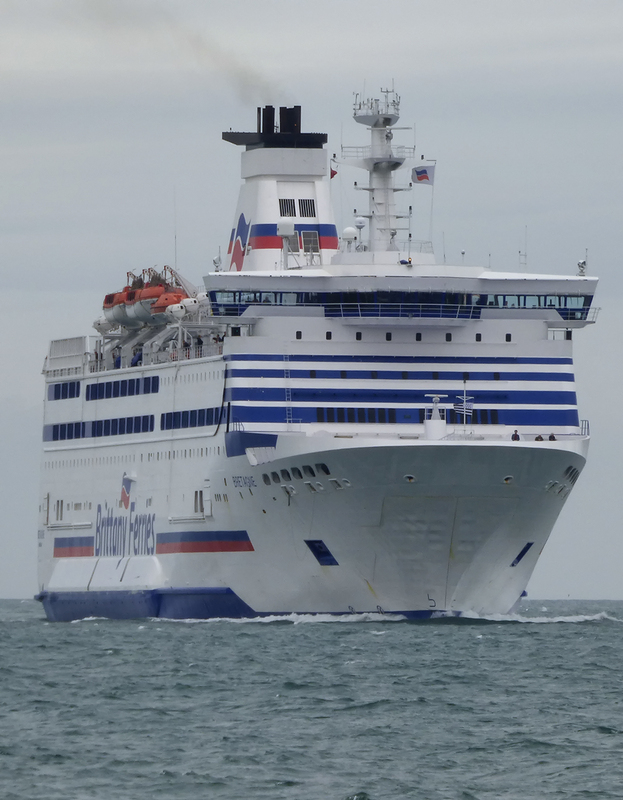 We were seated straight away with a couple from South Wales who were heading to France for a month with their motorhome. 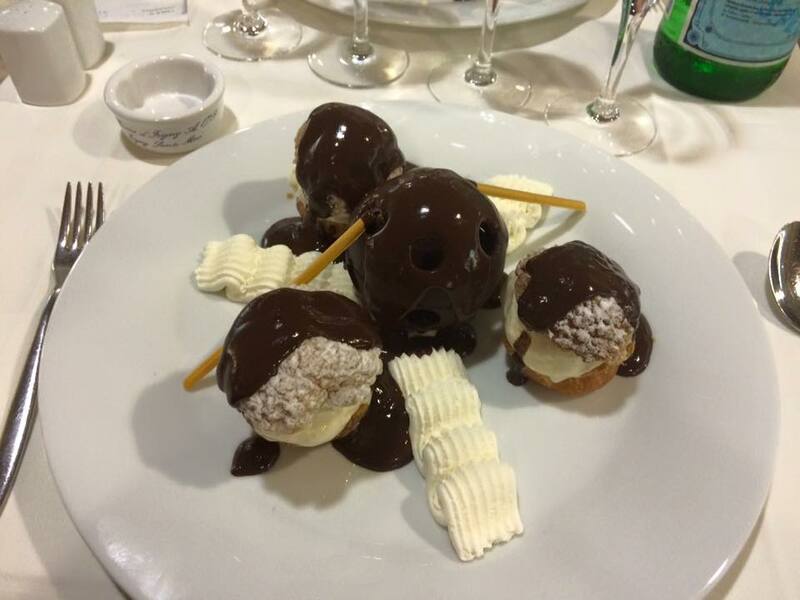 They were friendly and certainly helped make the dining experience more interesting. Having studied the menu we opted for the set price menu at £30.80, yes this isn’t the cheapest meal in the world but it is 4 courses and this was a special occasion and from previous experience on this vessel the food and the service is well worth the money. 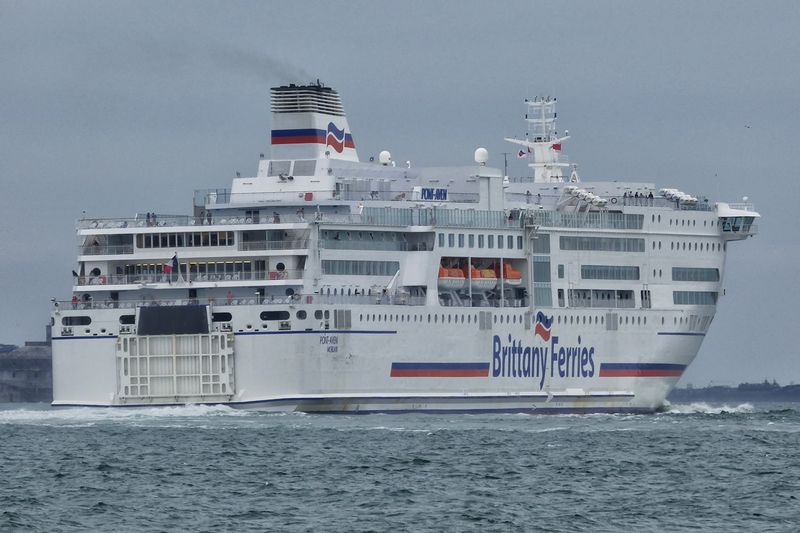 Once again Brittany Ferries and the Bretagne lived up to the reputation of providing the finest quality food and the greatest service available on a ferry. 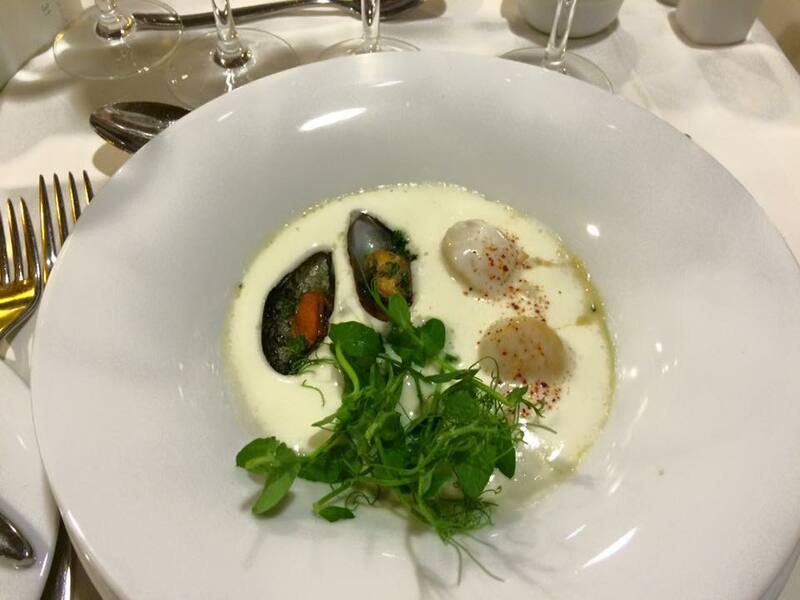 We have eaten a lot of ‘ferry food’ in our time and in my own mind nothing compares to what I have experienced on this ship. 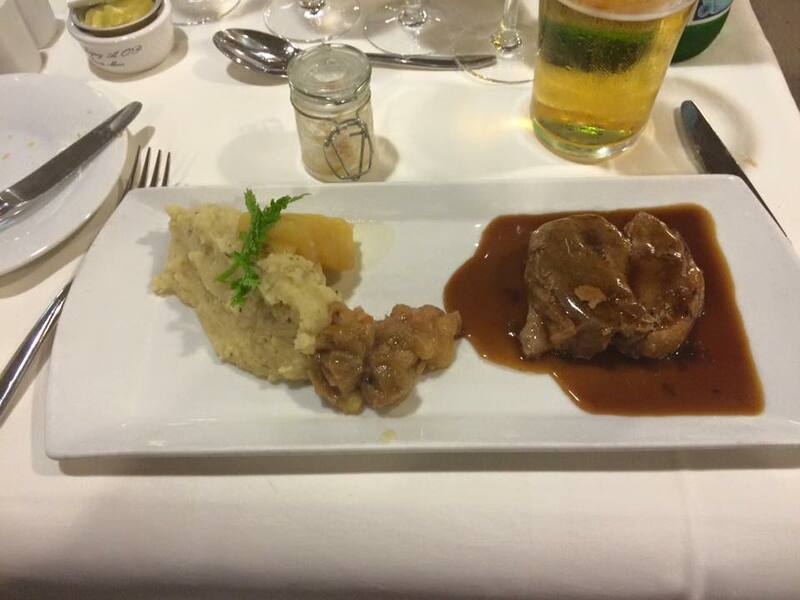 Yes as I stated previously, it wasn’t a cheap meal but that saying “You get what you pay for” certainly does apply in this case. 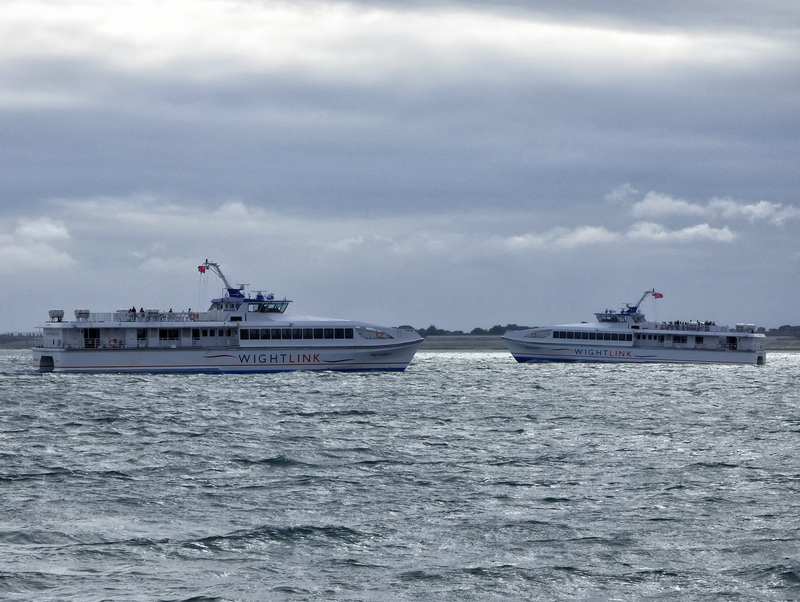 After dinner we retired to the ‘Gwenn Ha Du‘ lounge for a few more drinks and to sample the onboard entertainment. 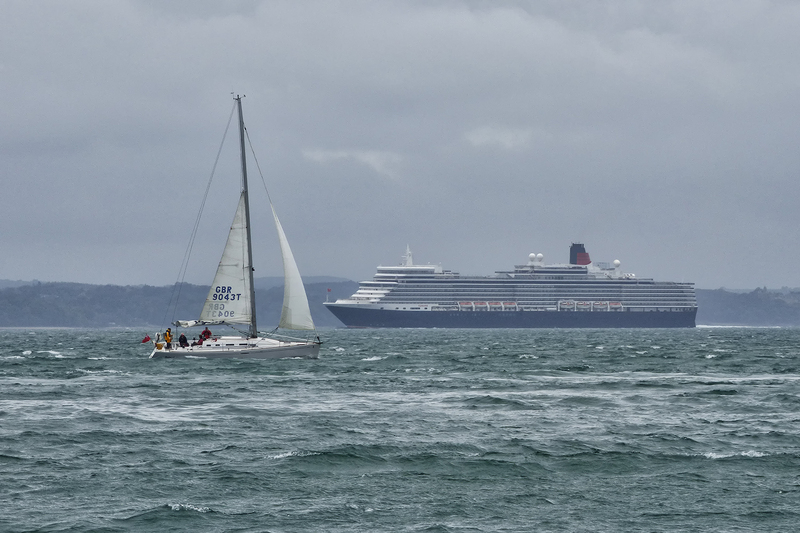 On this sailing there was a magician for the younger passengers and this was followed by a singer. Unfortunately for me it was a Shania Twain tribute act and I will admit now that I can’t stand Shania Twain. Don’t get me wrong the female artist had a great voice but the content of the show was not to my taste, I think Paul enjoyed it more than me! 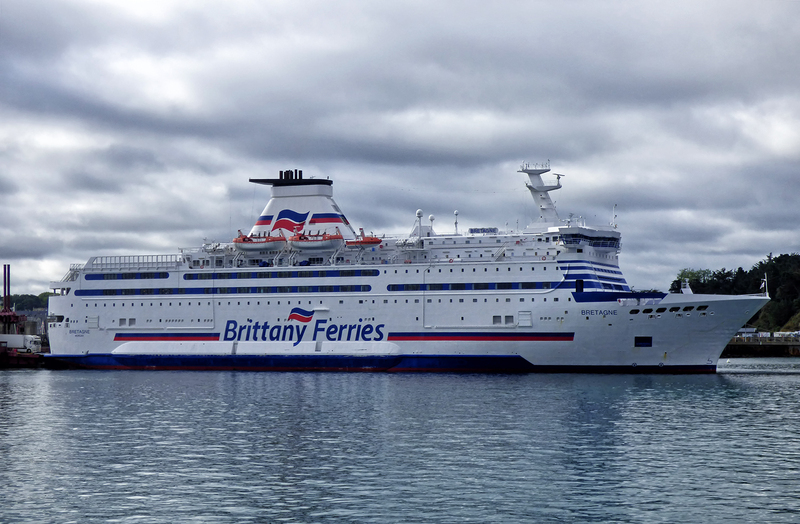 After a few more drinks it was soon time to retire to our cabin for some rest before our early arrival in St Malo. 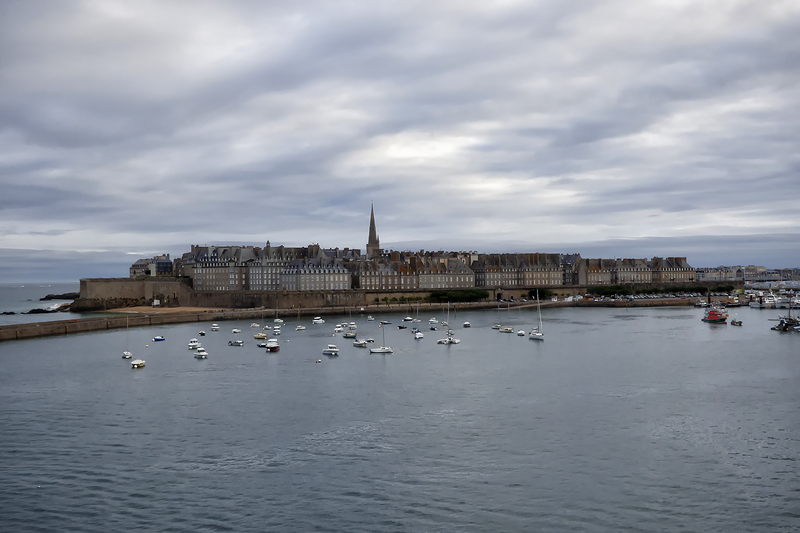 After a very comfortable nights sleep we were both up quite early (I think it was about 0530) so after a hot shower it was up on deck to witness our arrival at the Breton port of St Malo. 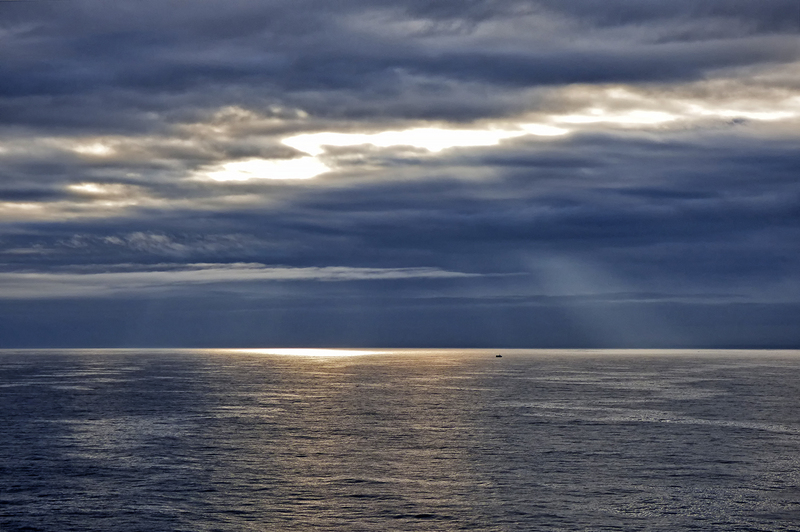 The weather was still quite overcast but the sun was trying to make an appearance and more importantly it was warm. 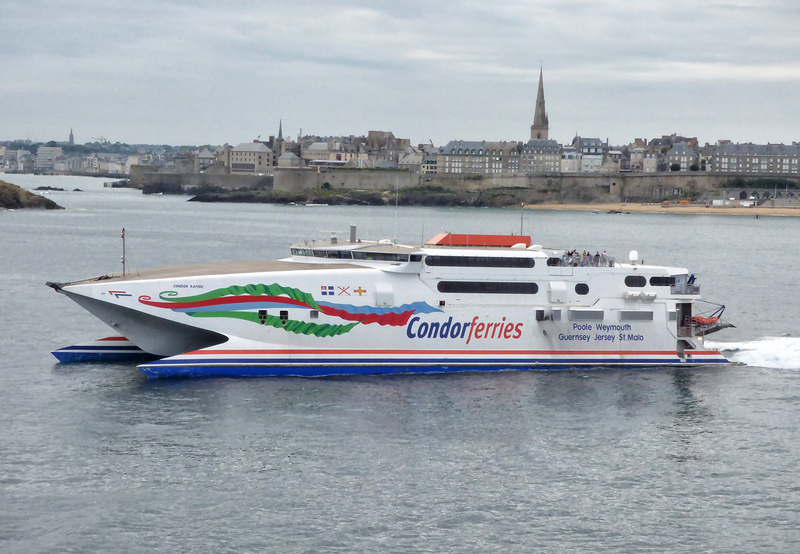 The sun makes an appearance as we approach St Malo, nothing like a bit of fresh sea air to wake you up after a night out! Just in case you can’t remember the name of the ship you’re on! 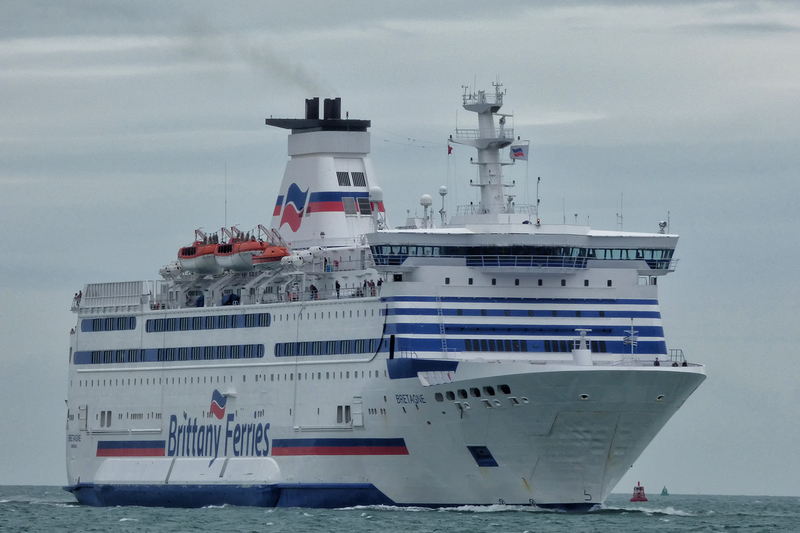 After witnessing the departure of the Bretagne from St Malo it was time for the 2 hour car journey to Ouistreham (Caen) to get our return crossing back to Portsmouth on the Mont St Michel. 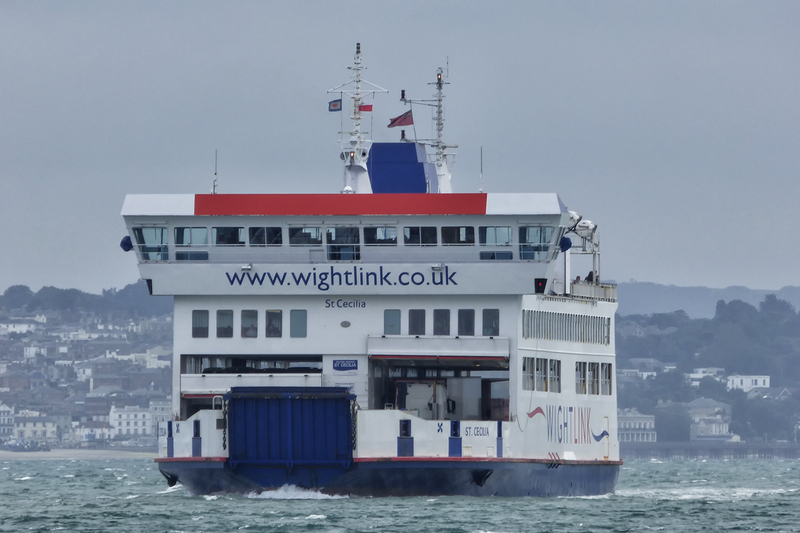 We have also travelled on this vessel a number of times and have found her to be a comfortable day boat as well as a superb night boat. 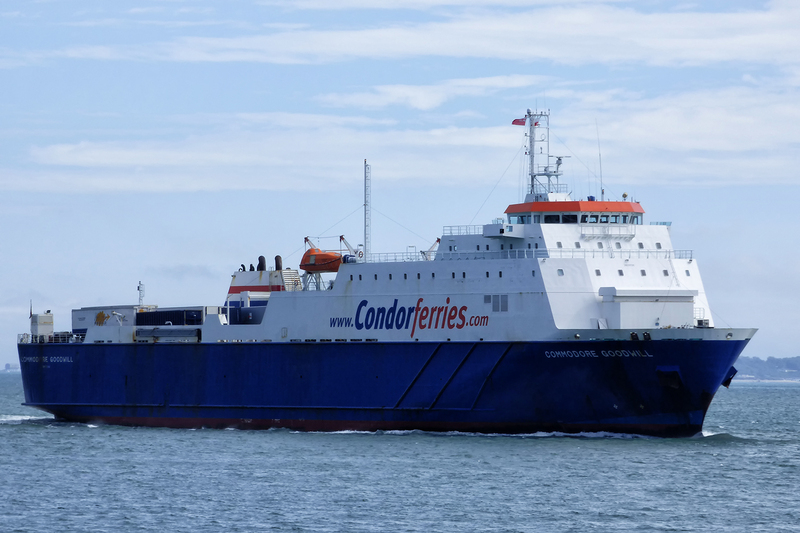 Even though this was a day crossing I still booked an inside two berth cabin, it’s handy as a place to keep your bags and if you want to get your head down on the 6 hour crossing and at £15 it’s great value. 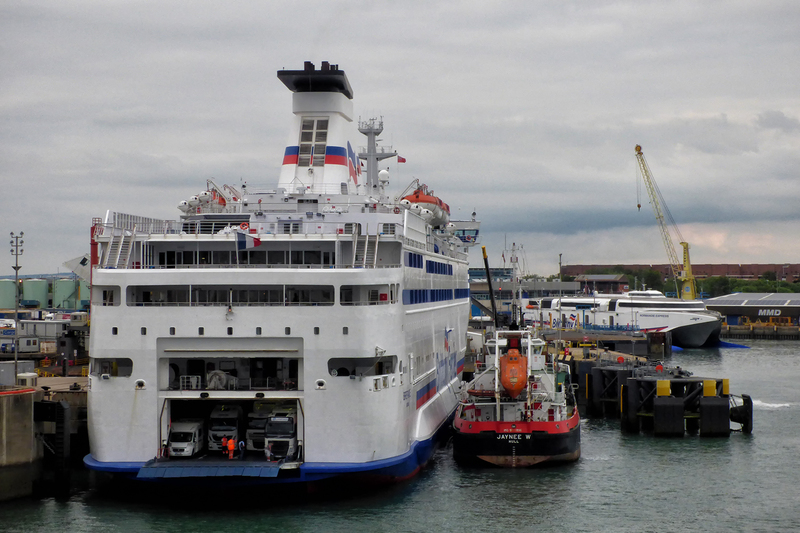 We arrived at Ouistreham about 30 mins before check-in closed and we were soon waiting to board the vessel. 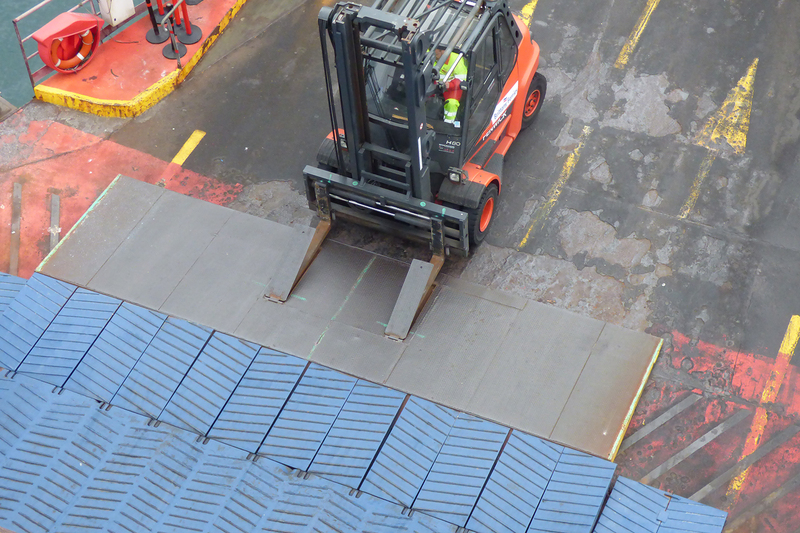 After about another 20 mins we were driving on to the upper car deck. After boarding we found our cabin on deck 7 and headed to Le Café du Festival on deck 9 for a light bite. 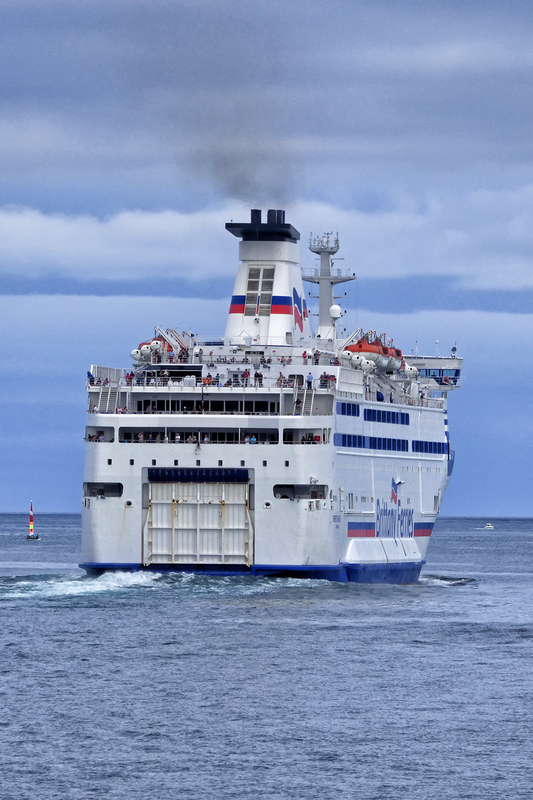 The ship departed on time and soon we were clearing the port and heading out to sea. Following the early start we headed to our cabin for a couple of hours sleep. After a pleasant sleep we decided to get some dinner ahead of our 19:15 arrival in Portsmouth. We headed for the ‘La Galerie‘ self service restaurant on deck 8 where we both had a steak (which was cooked to order) a dessert, a drink and bread and cheese and it came to £27, very good value especially when compared to what some ferry operators charge for a simple dish such as Fish & Chips with mushy peas! 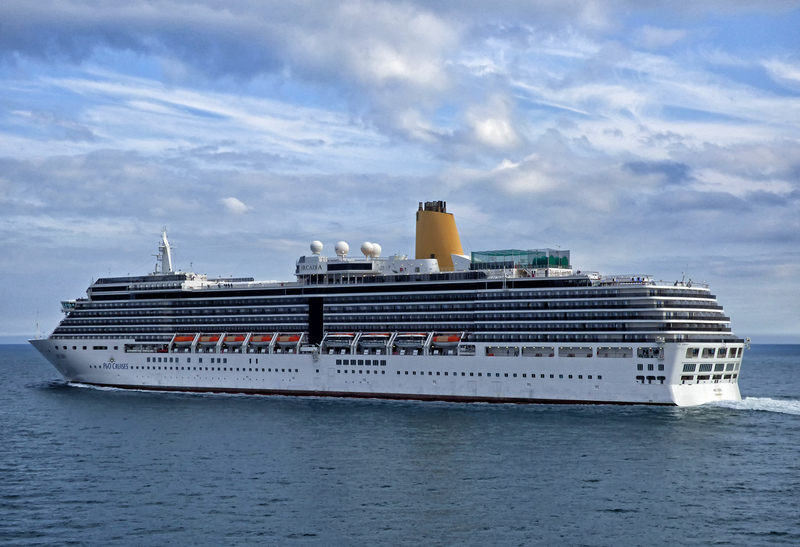 After dinner we headed for the forward facing sundeck on deck 7 to watch our approach to Portsmouth. 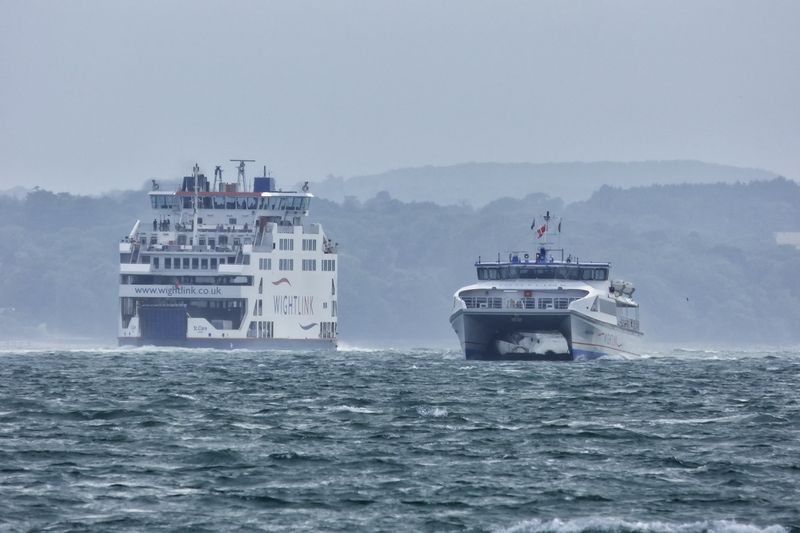 It wasn’t long until we were entering the Solent. 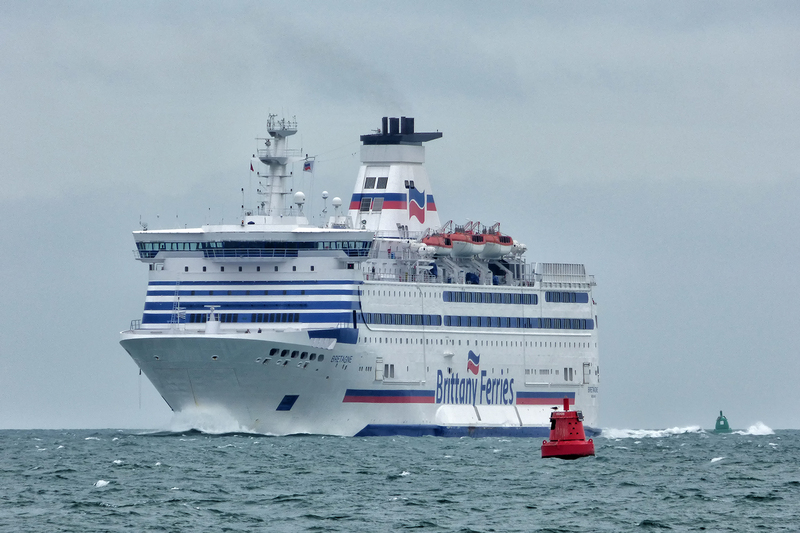 The Normandie Express passed down our port side inbound to Portsmouth from Cherbourg. 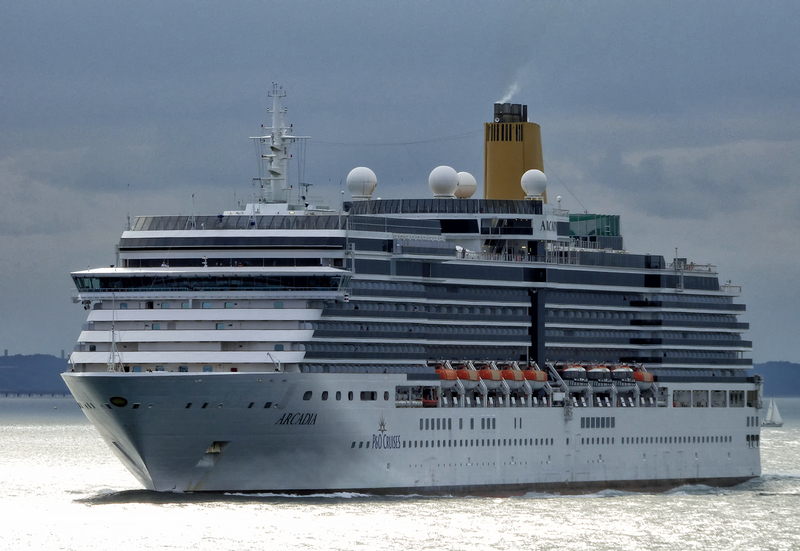 After this the P&O Cruises vessel Arcadia sailed down our portside at close quarters outbound from Southampton heading for Bergen, Norway. 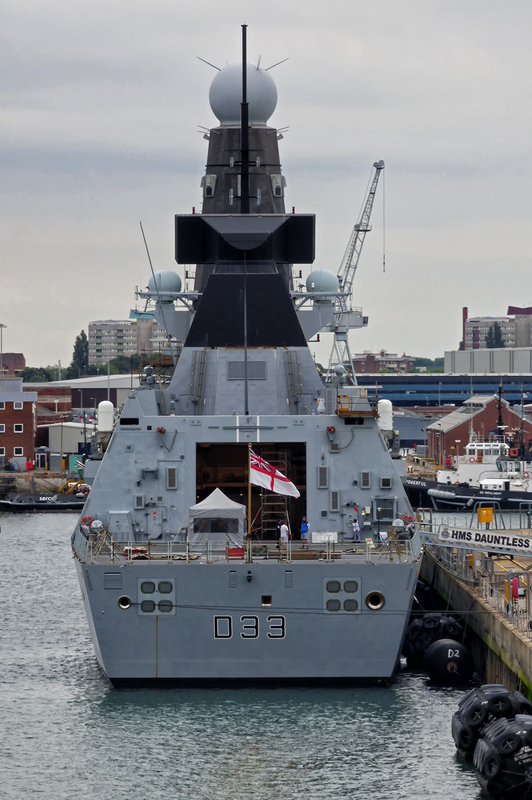 Type 45 ‘Daring-Class’ destroyer HMS Diamond (D34) at HMNB Portsmouth. 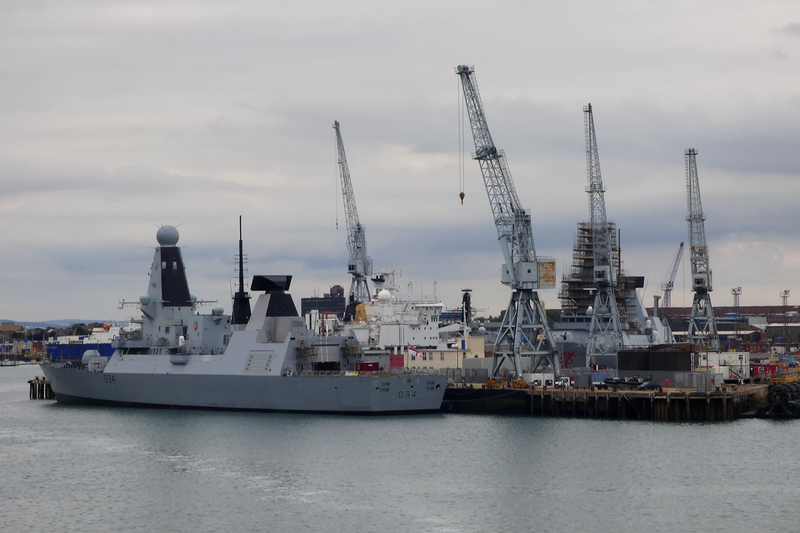 Her sister vessel HMS Dragon (D35) can be seen undergoing maintenance in dock beyond. Also in this shot is the decommissioned ice patrol ship HMS Endurance (A171) which served with the Royal Navy between 1991 and 2008. 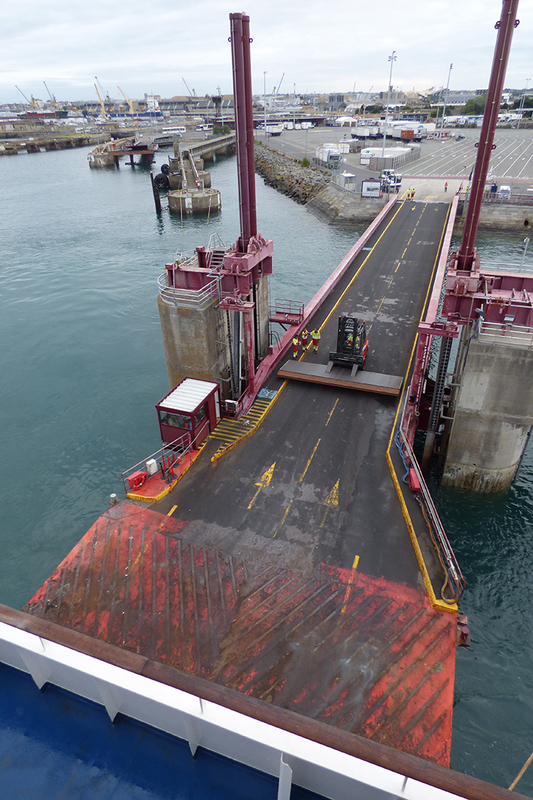 She has been out of service since 2008, when she was seriously damaged by flooding. 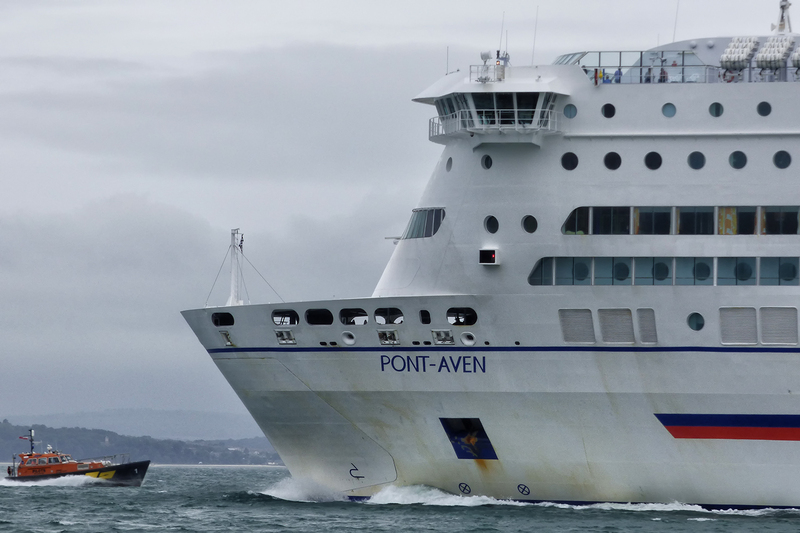 In October 2013 it was reported that she would be scrapped but in July 2015 the vessel was offered for sale for further use or recycling. 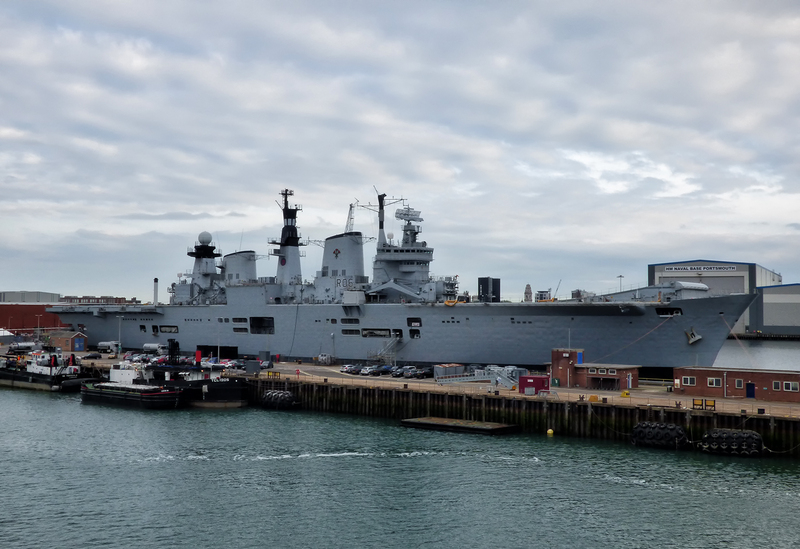 The now retired ‘Invincible Class’ aircraft carrier HMS Illustrious (R06), affectionately known as “Lusty” to her crews seen at Portsmouth. 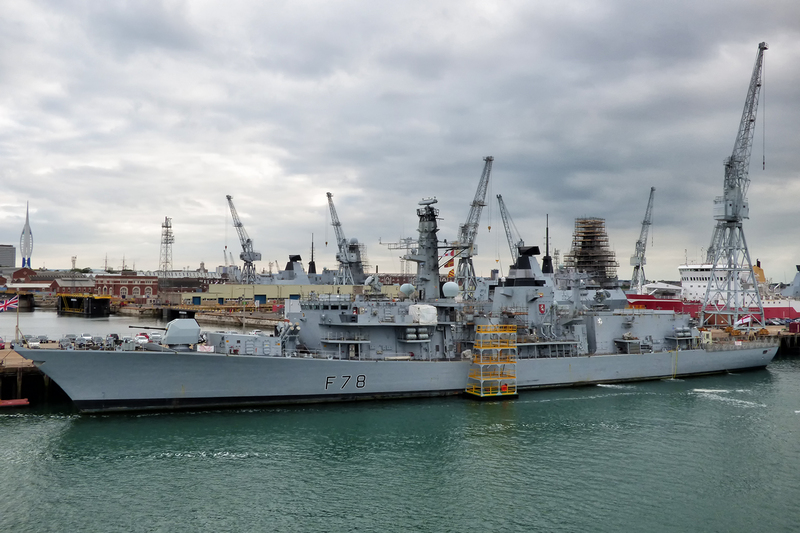 She was decommissioned at HMNB Portsmouth on 28 August 2014 following 32 years of active service. 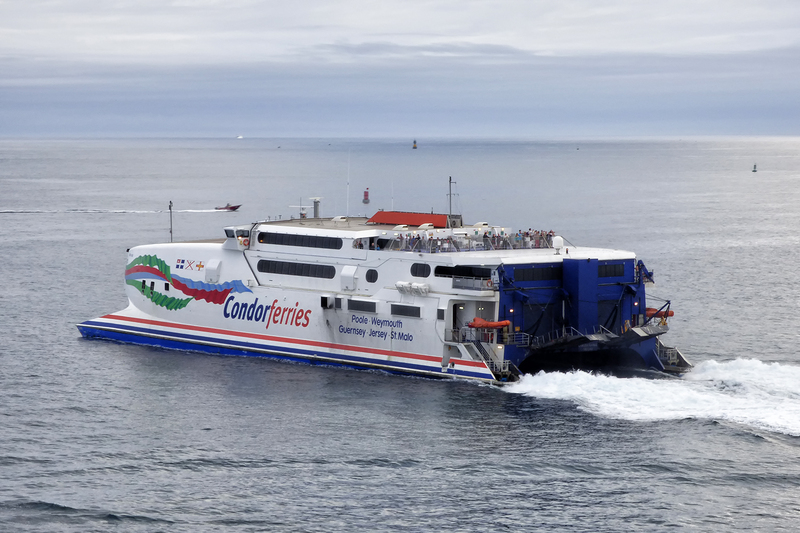 It is hoped that she will be preserved and opened to the public in the future. 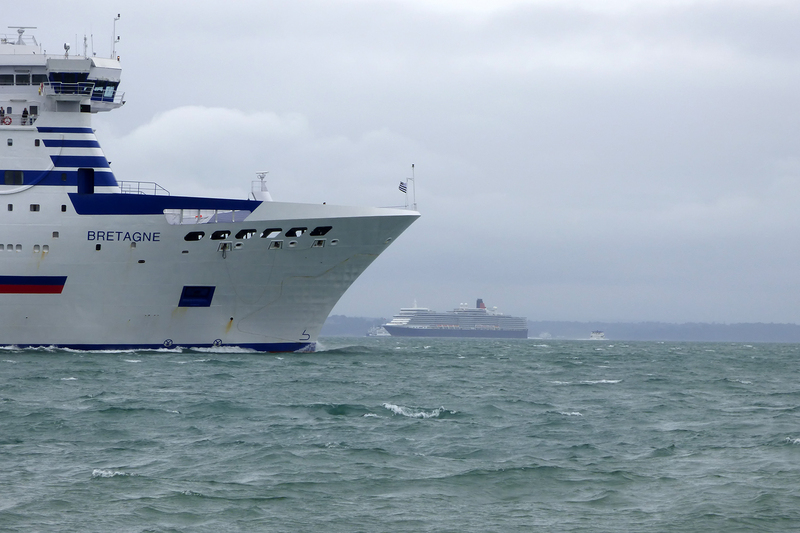 Once again we had a very enjoyable Brittany Ferries experience on these two vessels. 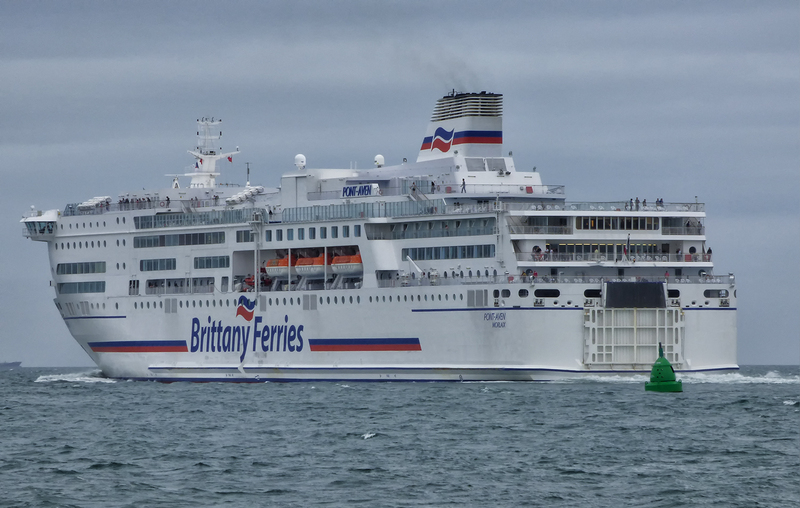 The Bretagne is not the youngest ship in the Brittany Ferries and with the possibility of her being withdrawn in 2016 I advise people to try her before she goes. 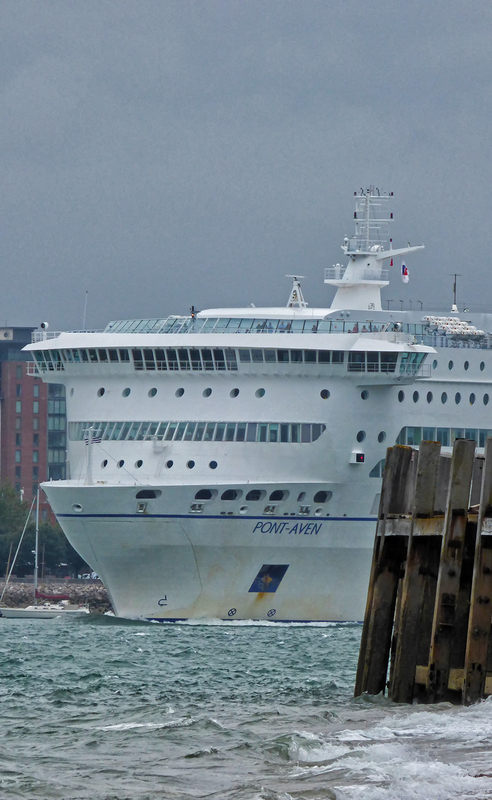 She has a quaint charm about her and she will be greatly missed when she leaves the fleet. I hope my good friend Paul Cloke enjoyed his pre wedding break and I wish him and his bride Rachel the best of luck for their future together and I would like to thank Paul for asking me to be his best man. It’s a big responsibility but I am sure I will do you proud. 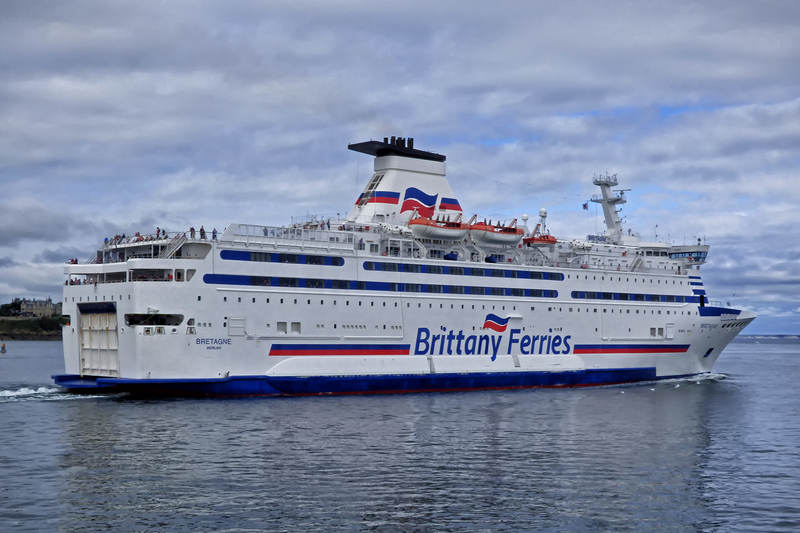 It just leaves me to thank Brittany Ferries for updating our booking and the crews of the MV Bretagne and MV Mont St Michel for a very enjoyable time and have no fear we will be back, hopefully on the Pont-Aven this time (hint, hint). Hello Ray and of course Paul, who I would like to congratulate him on his forthcoming marriage, well a very good story about your journey I like it very well and read it with pleasure. Have a nice day and greetings from a cloudy Netherlands. Greetings from a wet and now foggy Dover. Thanks for those magnificent photos Ray. You have a gift of being able to capture a trip like that with your camera. 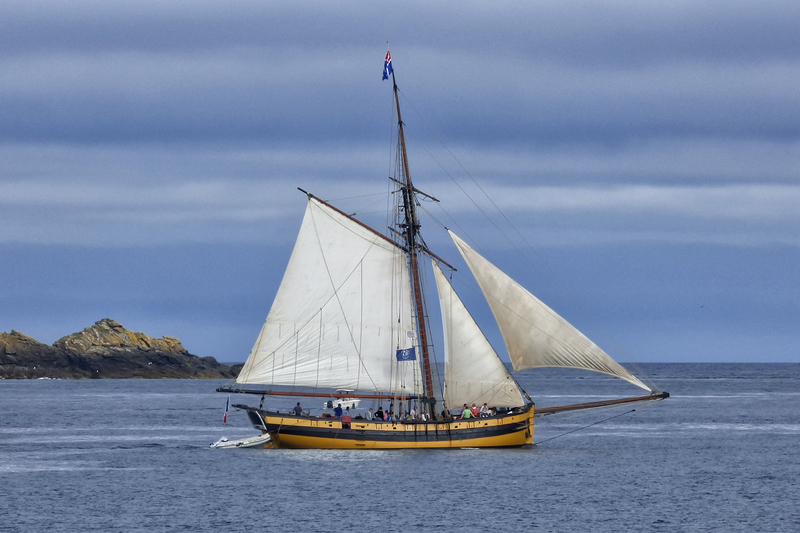 The next long voyage report will follow later on in the year when we complete our exhaustive crossings of the North Sea. 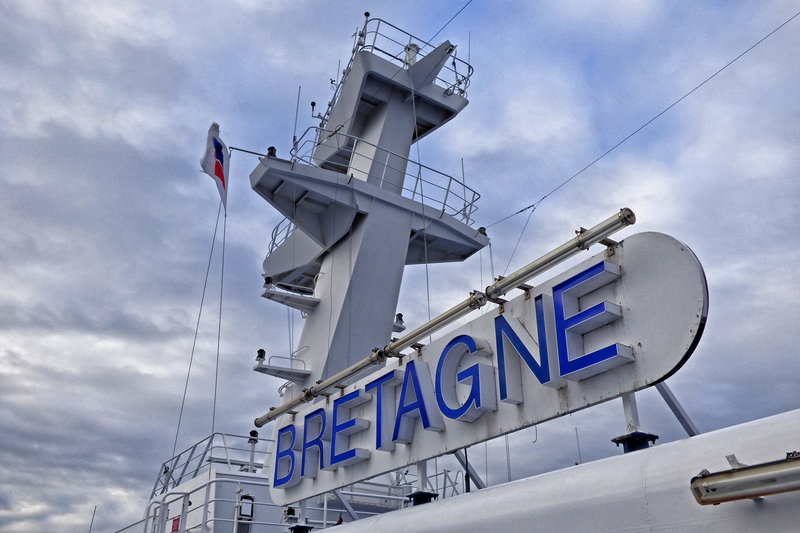 Really enjoyed your articles on the Bretagne. 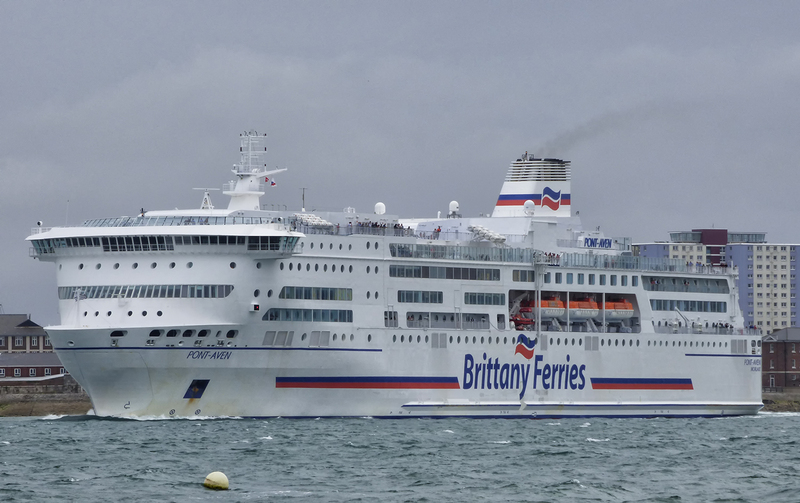 I used to travel on this ship Saturday evening departure from St Malo and return from Portsmouth on Monday evening. 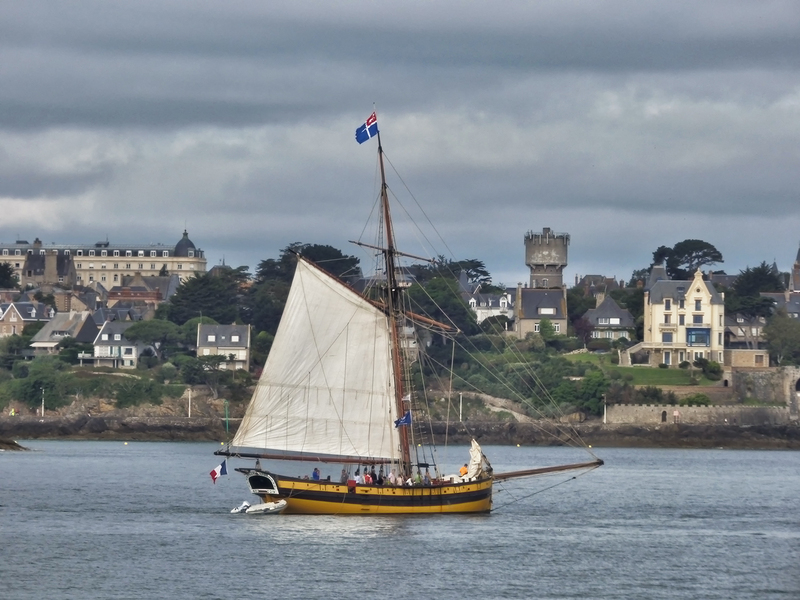 I did this nearly every week between 2004 and 2010 and have great memories of the ship and got into the Breton music of Dremmwell who I saw several times around Brittany. Thank you for the kind words. 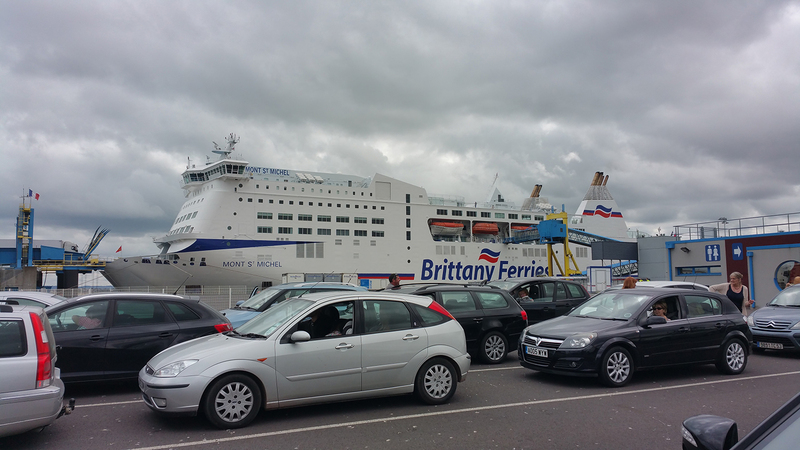 I always enjoy traveling on the Bretagne and have never had a trip that I didn’t enjoy. 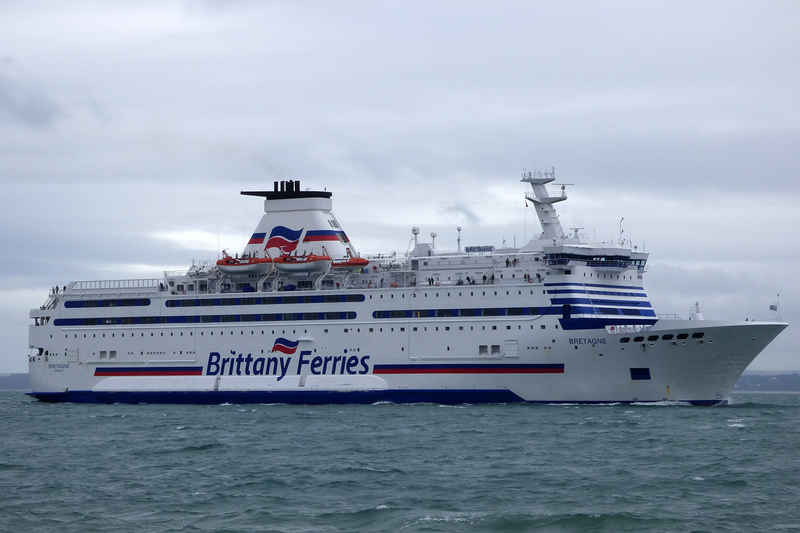 For me it will be a sad day when she leaves the Brittany Ferries fleet.